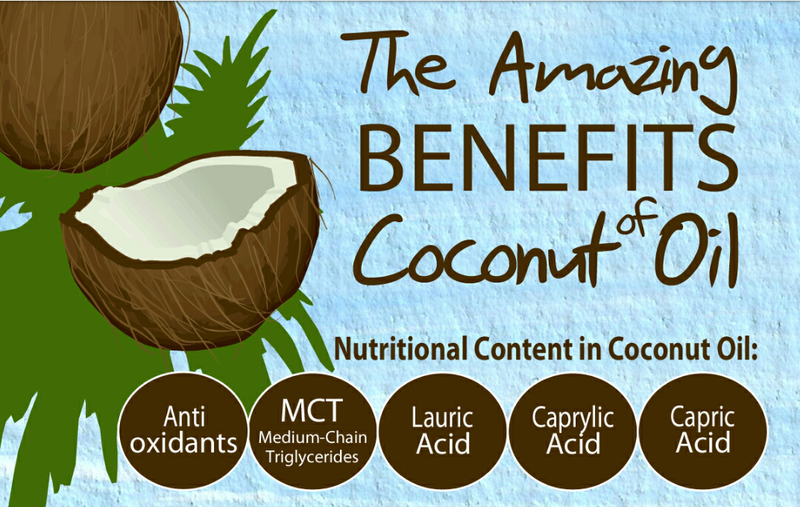 Coconut oil is one of nature’s most valuable health solutions. But it’s something that the medical community looked down on for years. Some experts even said to stay away from it to help protect your health. Not surprisingly, they were wrong. And now coconut oil is coming back in a big way. The problem is that most people still don’t know what it can do for their bodies. 1. Build a Better Brain: We’ve told you before about some of the easiest ways to help prevent Alzheimer’s naturally. Coconut oil may be at the top of that list. That’s because it’s made up of medium chain triglycerides (MCTs). Your brain can use them for energy in place of carbohydrates. That’s a big deal when you consider a high-carb diet can almost quadruple your Alzheimer’s risk. It’s not just a theory. Some doctors are starting to preach the benefits of using coconut oil for cognitive support after using it successfully themselves. Try replacing simple carbohydrates and sugars with coconut oil. This alone may help lead you to better cognitive function—and fewer senior moments—than you’ve had in years. 2. Boost Your Immunity: MCTs may also help your body fight infections. One in particular—lauric acid—kills H. pylori and other nasty bacteria. H. pylori causes inflammation in your gut. It may even raise your risk for certain cancers. Coconut oil also defends against C. difficile. It’s an antibiotic-resistant bacteria—and one of the leading causes of diarrhea in hospitals around the world. Unlike antibiotics, coconut oil won’t kill the good bacteria already in your body. Try taking a spoonful with your supplements. This will help your body absorb them better—and fight off harmful bacteria. 3. 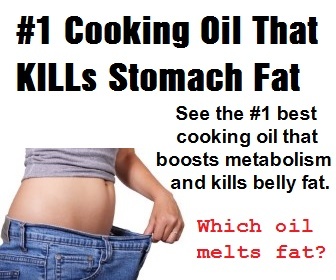 Drop Extra Body Fat When you eat coconut oil, you’re eating fat. There’s no way around that. But eating the right types of fat doesn’t make you pack on pounds. The truth is MCT-rich coconut oil helps burn body fat. Eating coconut oil helps put your body into ketosis. This is where your body burns fat for energy in place of glucose… Like you get from carbs and sugar. It’s why you won’t get the same effect from other oils—like dangerous soy. Another perk is that coconut oil helps you feel full after eating it. A spoonful between meals will help keep you satisfied—and away from vending machines. 4. Save Your Smile: Coconut oil is a natural germ killer. This helps protect wounds from infection. But it’s also one of a few weird ways to care for your mouth. When you eat coconut oil, your teeth get some antibacterial benefit. Even your digestive tract. But oil pulling can make real difference. Take a spoonful of coconut oil and swish it around your mouth. Just like mouthwash. By “pulling” the oil through your teeth, you kill the germs that cause inflammation and infection. Work your way up to doing it for about 15 minutes. Be sure to spit the oil out afterwards. It’s going to be full of nasty bacteria that you don’t want to swallow. 5. Help Your Heart Mainstream doctors told you for years that eating saturated fats is the path to heart disease. But after 60 years of being a dietary outcast, people are finally learning the truth about these fats. Like coconut oil. Eating it won’t raise bad cholesterol. In fact, it’ll boost HDL—the good cholesterol. Another benefit is that it can kill the bacteria and viruses that cause plaque to form in your arteries. This also helps lower inflammation. That’s the other culprit in heart disease. This may be why populations that eat the most coconut oil have such low rates of heart disease. Just remember to use the real thing… Stay away from any hydrogenated coconut oils. It’s not just hype. Coconut oil is a versatile—yet effective—secret for optimizing your health. From cognitive support and immunity to weight loss and heart protection…this tropical treat has you covered. Our favorite way to get more is to take a spoonful of it once or twice a day with meals. You can even add it to salads or smoothies for some unique flavor—and major health benefits. Just be sure to buy it cold-pressed and organic to get the most out of it. You can find it in most health stores and online—possibly even your local grocer. Previous Post Indulge in Dark Chocolate Daily and Why It’s Good for You.